Freshly squeezed juice hasn’t always seemed like the most appealing thing to me — who wants to drink beets and celery? Turns out, I do. 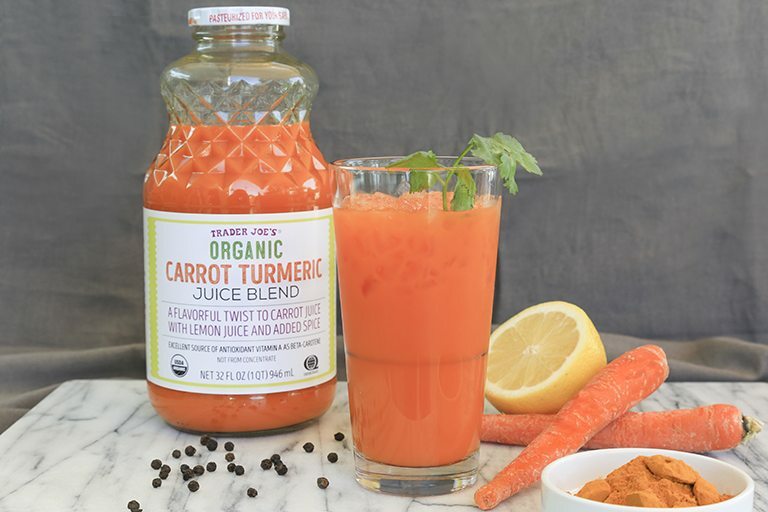 If you haven’t jumped aboard this bandwagon yet, give it a chance, you’ll be surprised by just how refreshing juiced vegetables and fruits can be. Plus, these drinks have powers — whether you’re looking to detox, boost your immune system, or gear up for the day, there’s a juice with a cure. 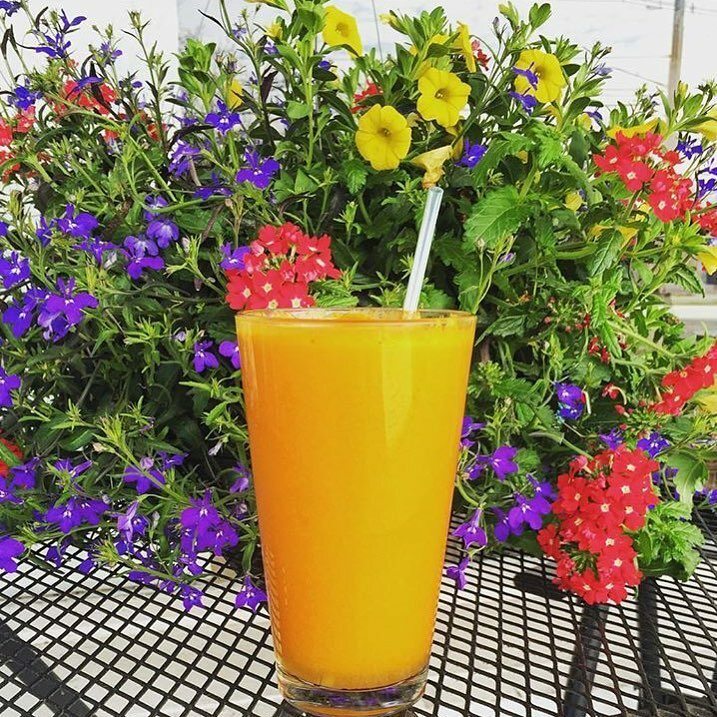 There are so many options across the Buffalo area, but here’s a list of 15 great go-to places so you always know where your nearest juice-fix is. Are we missing one? Email us at info@stepoutbuffalo.com or DM us on Instagram @stepoutbuffalo! 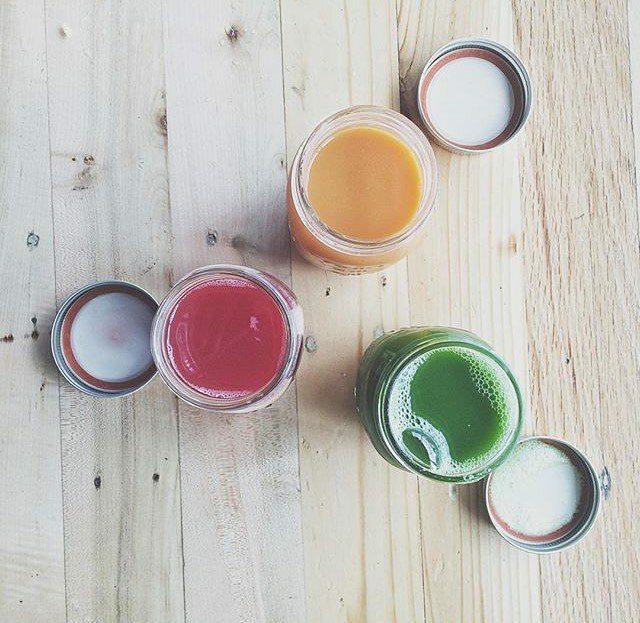 Choose from one of their freshly pressed juices, canned each morning in mason jars, or pick one off their menu to be made just for you. 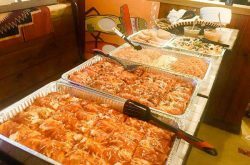 They also have a bunch of other great (and healthy) options, like slow-cooked oats, sunrise quesadilla, and a tofu bean burrito, in case you’re looking for something a bit more filling. We’re in a Food Revolution, according to The Grove, and that food revolution involves choosing local and “organic-first” whenever possible. But we’re also constantly struggling between giving in to that quick and easy fast food meal for convenience. This healthy lifestyle thing is a struggle, but The Grove gets us. Their juices are super tasty, affordable, and convenient — they even offer a regular delivery service for our hectic lives. 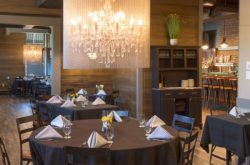 The Healthy Scratch’s owners are firm believers that what you eat will have an impact on your mind and body, so they want to help you feel great inside and out by providing you with healthy, fresh options you can trust. Whether you’re going for energy, weight loss, or immunity, they have an easy key to follow alongside all of their drinks like “Loving Life” and “Hang Me Out to Dry,” so you know exactly what your body needs. You’re walking down Hertel, but your stomach is feeling a bit off. You’re exhausted even though you’ve had 6 cups of coffee. Everyone around you at work has a cold, and you’re pretty sure you’re next in line. The owner of Nature’s Apothecary knows the cure. Stop in and she will fix up the perfect drink for you. These guys are extremely knowledgeable and can explain the power of every ingredient put into your drink (most of which are local), creating the perfect remedy for whatever ailment you’re facing. 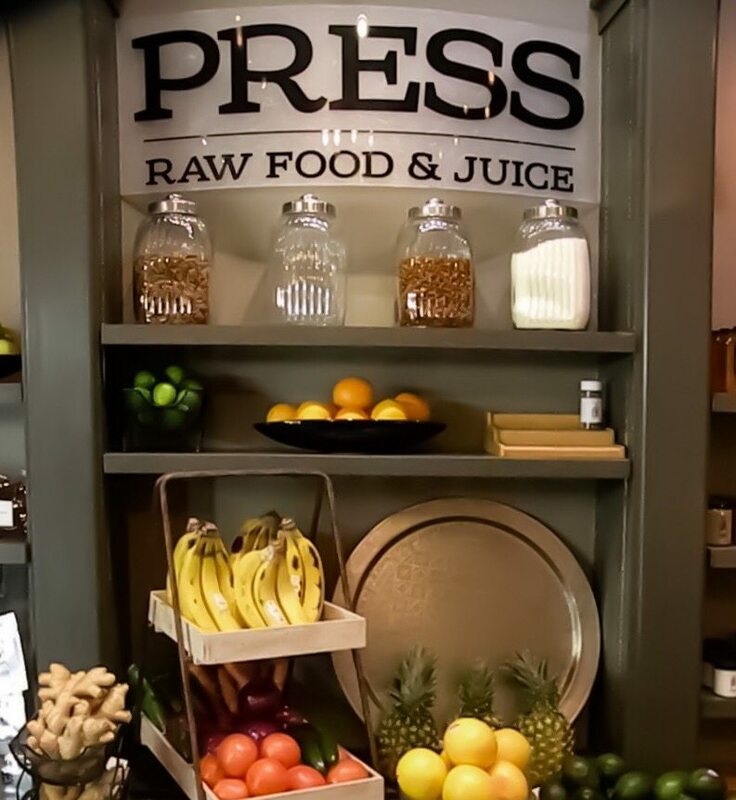 Press Food & Juice is a totally vegan option, which doesn’t sound too important when we’re talking about juices, but it is good to know if you’re a vegan looking for a snack to go with your freshly pressed juice. They’re also totally organic which definitely explains their top-notch quality juices. Rowhouse Bakery is this crazy new marketplace that everyone needs to check out. If you’re looking for freshly baked pastries, they’ve got it. Cocktails? They’ve got that too. Salmon Gravlax Tartine? Yup, they’ve got it. 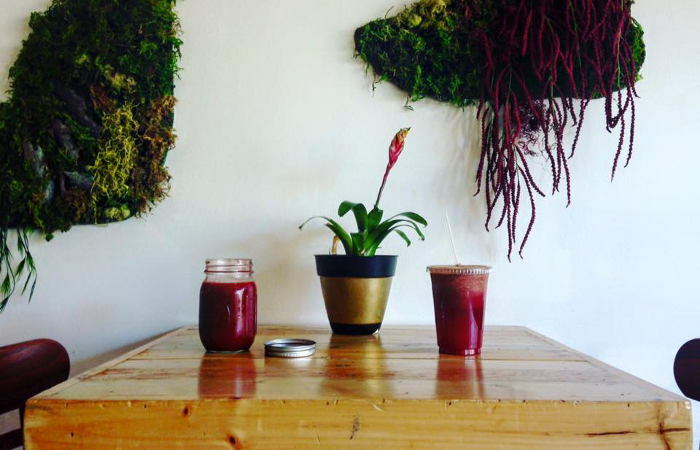 So it’s no surprise that this unique place also serves up freshly pressed juices, 3 different types to be exact: Think, Love, and See. Read more about the Rowhouse Bakery here, or just stop by and try out their juices while you check the place out! 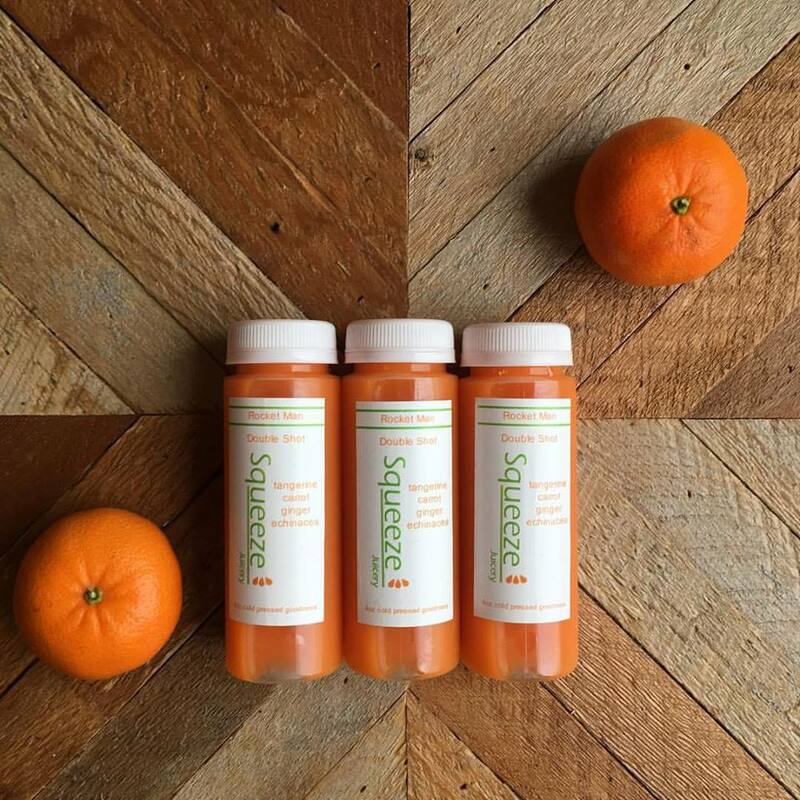 Squeeze Juicery is passionate about being more than just a cold-pressed juice bar — the owners are dedicated to helping you become the happiest and healthiest version of yourself. Using organic ingredients and buying locally as often as they can, they are devoted to caring for the environment, the community, and their customers. On that note, everything on the menu is sure to be just as brilliant as their names, from “Smooth Operator” (aloe, pineapple, ginger, and lemon), to “Under the Milky Way” (almonds, cacao, dates, honey, cinnamon, and vanilla) and “Good Vibrations” (orange, cranberry, pineapple, and apple). We don’t even need their “Love Potion #9” (strawberries, grapefruit, pineapple, and coconut water) to fall in love with this place — but we’ll take it anyway. Okay, so they’re only open for three hours a week, but they grow a variety of their own produce (primarily apple-pears) and use them to make fresh juices once a week. With juices, ice cream, animals, and holiday activities, this is definitely worth a short Sunday trip. Also, it’s just good to know. Everyone loves Trader Joe’s; we’ve never met someone who doesn’t. 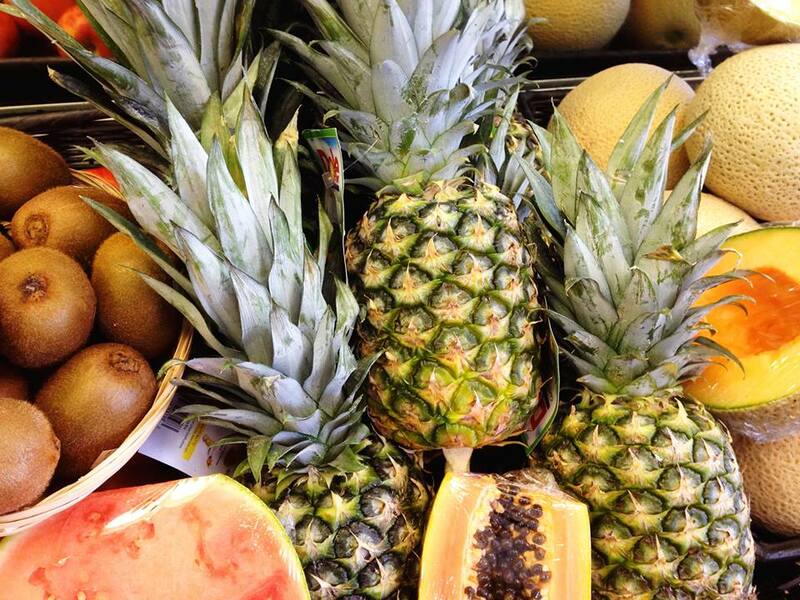 And now we love it even more because they’ve paired with a juice supplier to create their own juicy concoction of fresh fruits and vegetables. 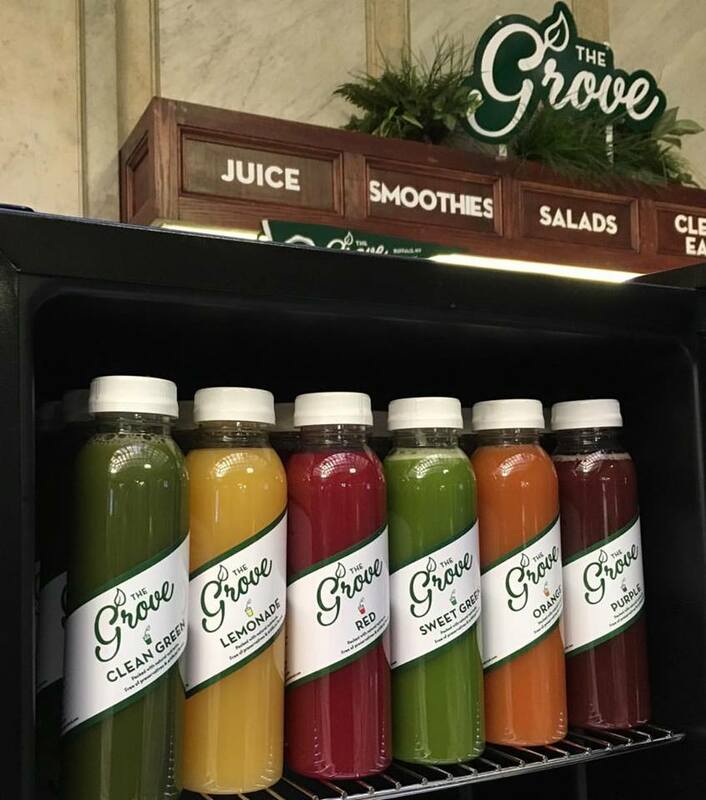 They offer 3 different varieties, simply called Green, Red, and Yellow, all of which are bottled using high-pressure processing, AKA they seal in the freshness (without preservatives) so the juice stays fresh for days. And they’re only $4.99 each, not too shabby Trader Joe’s. 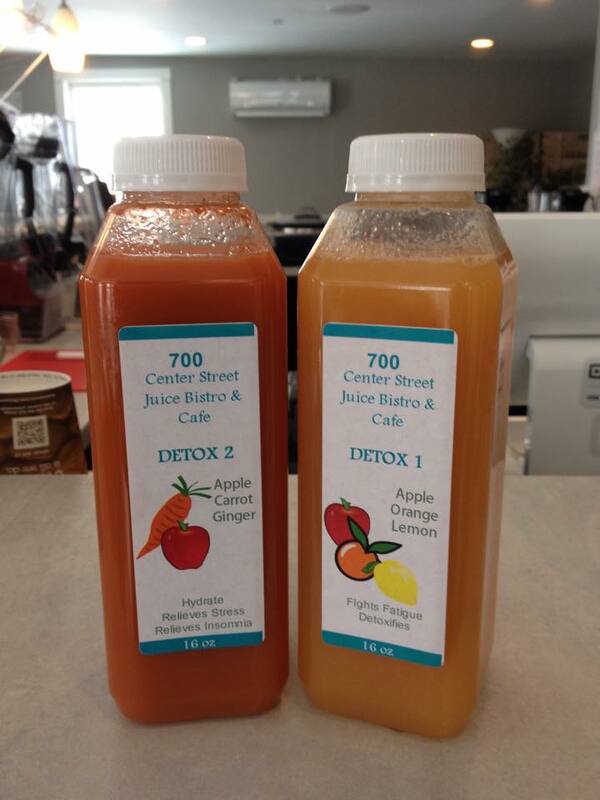 The 700 Bistro & Cafe offers custom fresh-pressed juices to order, made with the freshest fruits and vegetables. 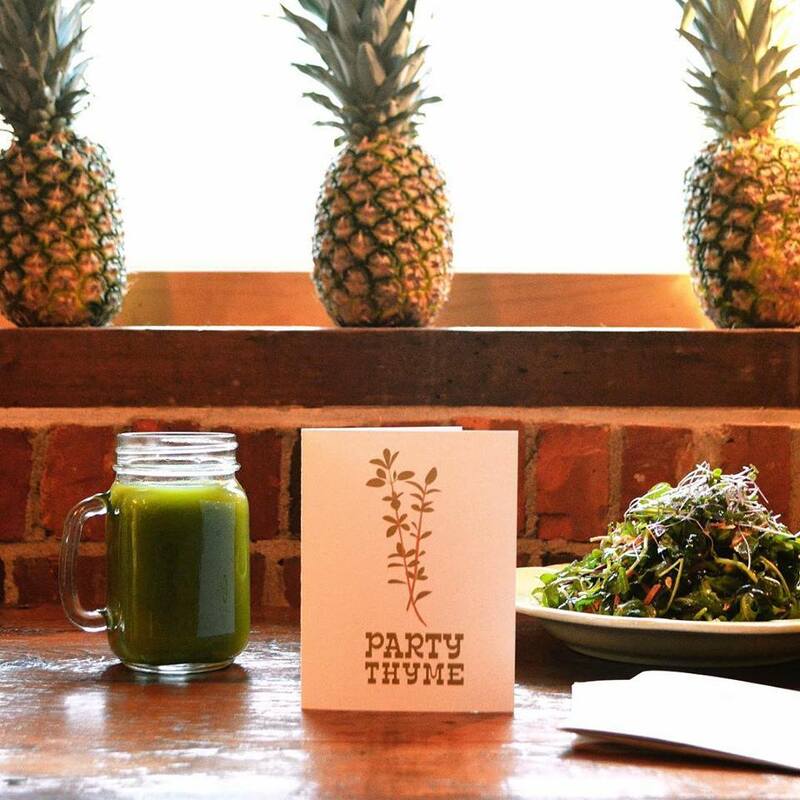 Their events might be the best part though — in the past, juice has taken the place of wine in a Creative Juices Paint N’ Sip class and a Yoga and Juice Class. We know, it’s not the same as wine, but it is a bit healthier, maybe even tastier (? ), and the effects are arguably better. 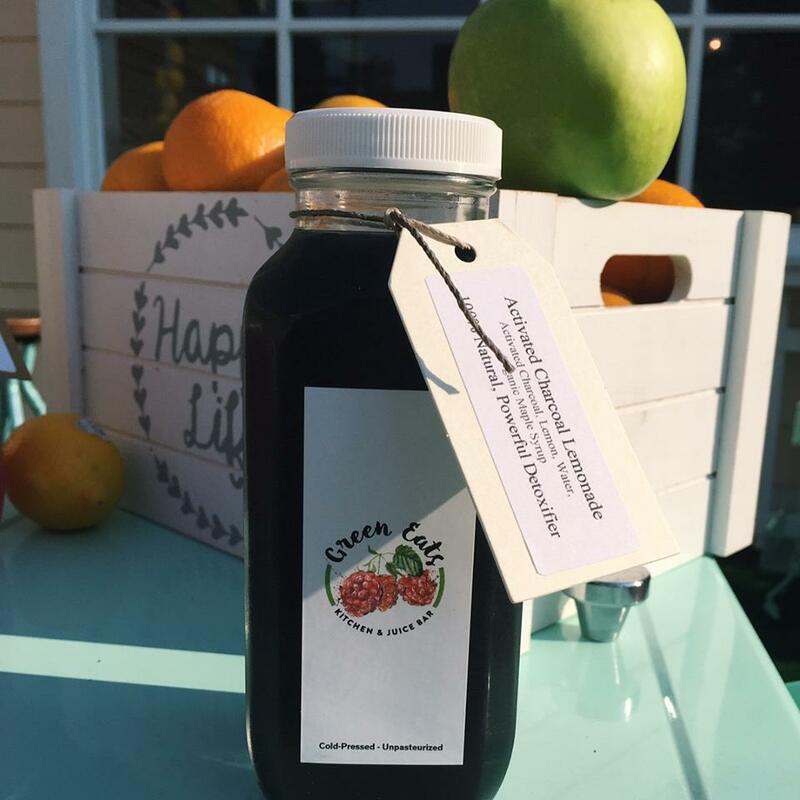 Organic 3 Cafe offers 7 different juice choices, like the Sweet Beet, Skin Tonic, and Green Goddess, plus some occasional specials. They also offer shots of wheatgrass and a wheatgrass sparkler, which is great for fighting allergies — it may sound a bit odd, but we promise it’s super refreshing and it’ll go down far easier than any other shot you’ve taken. 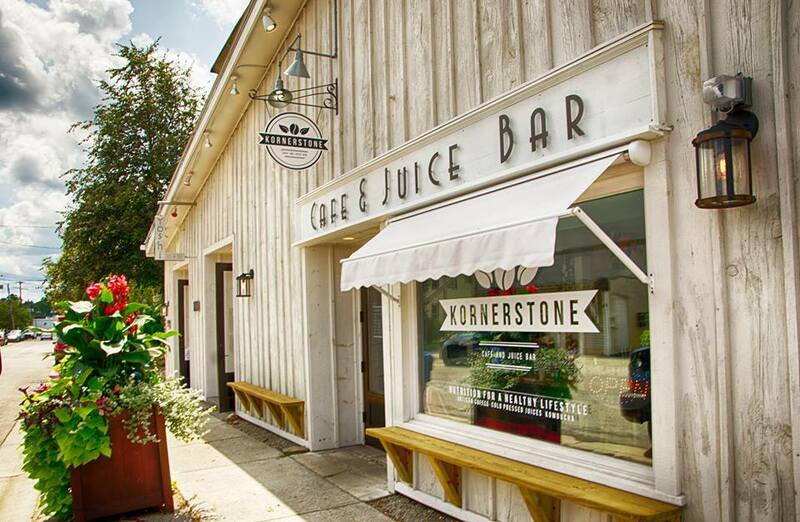 Kornerstone is the first cold-pressed juice and smoothie bar to come to East Aurora. 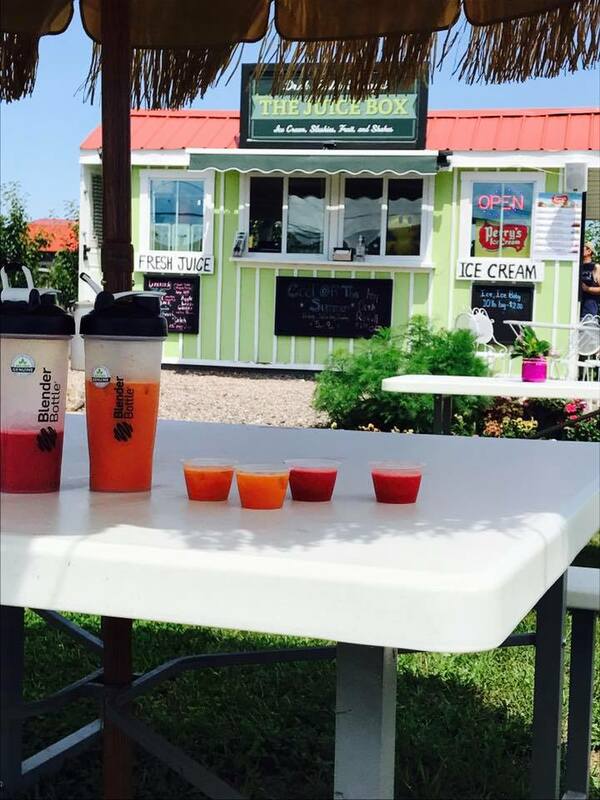 With 16 fresh juices regularly offered from the juice bar, including Liquid Sunshine, Booster, and Flu Away, they have everything your body may need as the cold sets in. They also brew their own kombucha, which is definitely worth a try if you haven’t tried it yet. 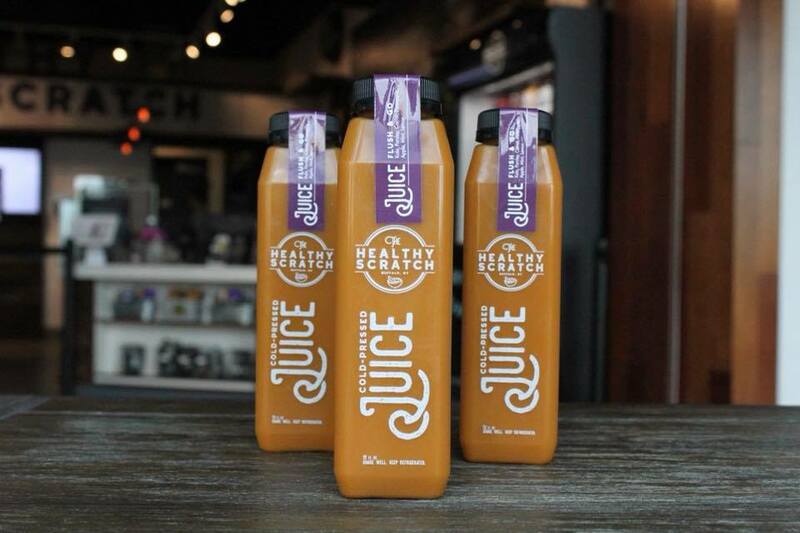 Feel Rite Fresh Markets have 5 locations: Buffalo, West Seneca, Amherst, Hamburg, and Williamsville, but you have to go to their Williamsville, Amherst, or Buffalo location to find their 100% Organic Juice Bar. Everything is made fresh daily and most of their products are organic, eco-friendly, natural, local, and 100% organic, so you can feel great about anything you purchase from here. You may already know this, but we’ve recently fallen in love with Welbeze. 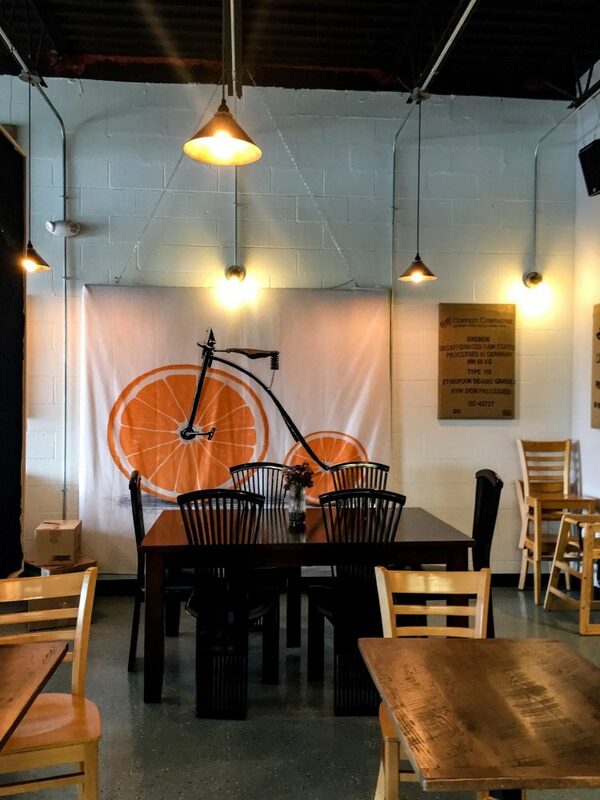 This great cafe and juice bar is owned by a father and son duo who’ve always lived in the Buffalo area. 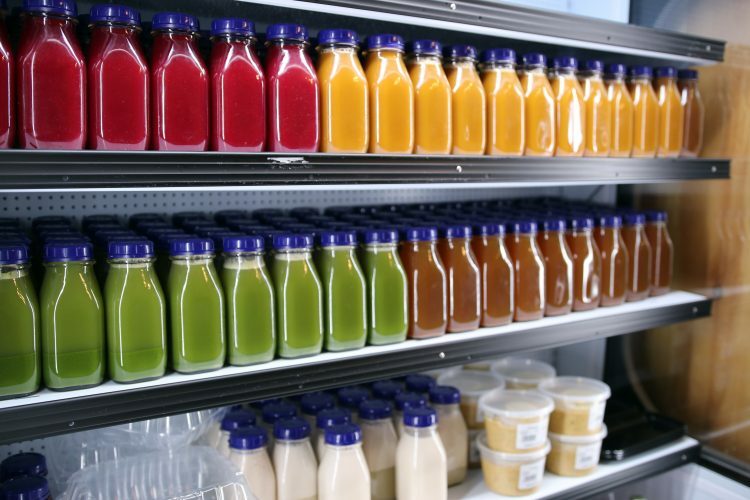 They pride themselves on buying local and providing the most satisfying, freshly-pressed juices they can create. 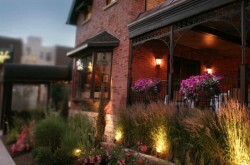 Find out more about Welbeze here or just stop in and see what all the fuss is about.